We enjoyed this morning hunting Easter eggs at my parent’s church. They set it up so different age groups were in different areas so the babies wouldn’t get ran over by the big kids. I loved being in the toddler group where the kids shared eggs with each other and then got tired of cleaning up someone else’s mess on the playground and decided to swing or slide instead. 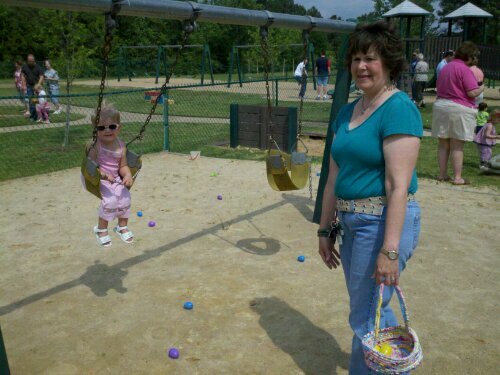 That was a much more relaxing egg hunt than I remember having in elementary. Looks like all ages enjoyed the celebration… and I see the cute basket you made..